Here you can find more information about swim, bike and run courses, but please note that this information is subject to change without notice. Start and finish point are from the same point. You will swim one lap in Small Lake and one lap in Black Lake with crossing over natural bridge between 2 lakes. All buoys, except the last one, will stay on your left side. Black Lake is 2.5km far away from Zabljak center. T1 is at the Black Lake. You will ride 1 lap of 187km in counter clockwise direction. Total elevation of the course is 3.200m. 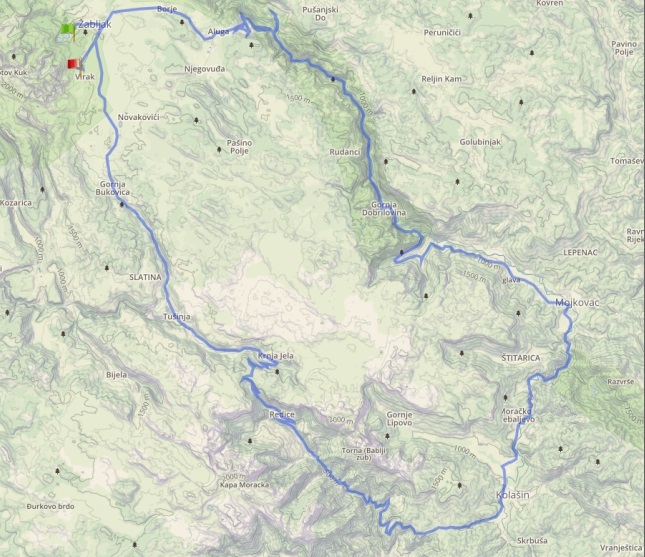 T2 is at the Ski center Savin Kuk and T2 is 5.4km far away from Zabljak center. Direction of the run is clockwise and there is 2.400m of elevation. T2A is at the same place where the T2 but from T2A until the finish line run supporter is obligatory. From the finish line to T2 you will use ski elevator.